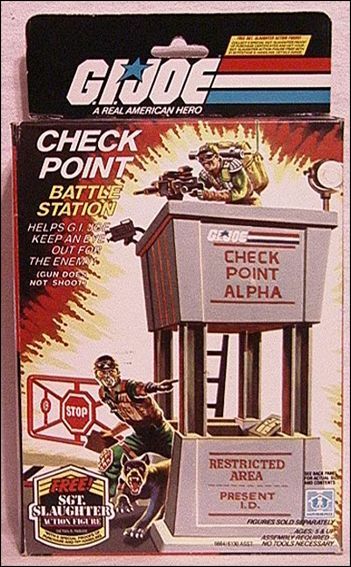 The Check Point Battle Station was one of the small playsets created for the 3 3/4" G.I.Joe action figure line in 1985. A 2-level watchtower with a moveable stop sign attached, the Check Point Battle Station came with several small parts, like the other Battle Stations that were often lost. This Battle Station came with many small accessories, blueprints/instructions for assembly, but no additional figures.